It shall be the objective of this matching grant program to provide assistance for the maintenance, rehabilitation, and upgrading of existing commercial properties within the Business Improvement District. The programs intention is to encourage business growth and to make a positive statement about the Beloit business climate to the community, visitors, existing and potential business tenants. SPONSORS: The matching grant program is funded by an allocation of Business Improvement District (BID) funds from the Downtown Beloit Association. All projects must be approved by the Downtown Beloit Association’s Design Committee. ELIGIBILITY REQUIREMENTS: All taxable commercial properties located within the Business Improvement District (see Design Guidelines tab above) are eligible for this program, with the exception of publicly owned buildings. All properties must be in conforming use under the City’s zoning ordinance except a commercial use that is non-conforming due to lot, bulk, or yard requirements and/or for which a variance has been granted. For the purpose of this program, no income producing residential properties will be considered as commercial properties. Properties will not be eligible if any special improvement district or property assessments are not paid to date. Grants will only be given for buildings with outstanding building code violations if the grant is primarily intended to reverse those code violations as a first priority. Only one grant per year per property owner and or tenant per building or address will be allowed. Grant application must be received before work begins. APPLICANTS: Owners, leasers, or a joint venture of these two parties may submit an application under this grant program. Tenants must submit written approval of the property owner and evidence of their leasehold interest. GRANT TERMS: Grants made under this program shall be a minimum $500 and shall not exceed $1,000 per building. The applicant is expected to provide at least a 50% match or his or her own capital to the total project cost. Grants will only be given for projects that have a minimum investment of $1,000 per building. Grant monies will only be distributed after a project is completed and certified. The Design Committee reserves the right to offer matching grants in anywhere in the range of $500 and $1,000 based on need and or overall physical impact on the build environment. ELIGIBLE EXPENSES: Facade grant money shall only be used for exterior repairs and renovations on commercial storefronts and facades which front on public streets, alleys or parking areas. 1. Repair and/or replacement of original building materials and decorative details which are deteriorated or missing. 2. Repair of non-original materials which cannot be removed due to deterioration of the underlying original building material. 3. Design and maintenance improvements made to the front, rear, or side building elevations. 4. Cleaning of exterior building surfaces. 5. Tuckpointing and masonry repair. 7. Repair, replacement or addition of entrances, doors, display windows, transoms, or second story windows. 8. Removal and/or repair of existing signs and awnings. Additions or signs and awnings that are compatible to the downtown Design Guidelines. 9. Other items that are viewed as necessary or complimentary to the properties exterior renovation as accepted by the Design Committee. 10. Exterior improvements for the handicapped including but not limited to ramps, doors, door openers, walks, guardrails, non-slip materials, or level platforms at doors. INELIGIBLE EXPENSES: Roofing repairs, construction of all new buildings, purchase of property, buildings, equipment, fixtures and furnishings, inventory or operating capital: any renovation activity completed prior to receiving final approval of loan funds; improvements not approved by the Design Committee. DESIGN STANDARDS: The Downtown Beloit Design Guidelines will be the standards by which all proposed projects will be judged by the Design Committee for appropriateness. (see attachments) Properties on or eligible for the National Register of Historic Places shall conform to the Department of Interior Standards for Rehabilitation and local Landmarks requirements. ELIGIBILITY SCREENING: Interested persons should contact the Downtown Beloit Association to discuss the initial renovation plans and to determine if the proposed project appears to be eligible for grant assistance under the terms and conditions of this grant program. APPLICATION SUBMITTAL: To be formally considered for a grant request an application (attached) must be completed in full and submitted to the Downtown Beloit Association. APPLICATION REVIEW: DBA staff shall review submittals to determine that all information is complete and accurate. The Design Committee will then review all applications to assure compliance with the Design Guidelines. If the proposed design does not meet the Design Guidelines the Design Committee will meet with the applicant to discuss solutions to meet the grant eligibility requirements. Once the design is approved the applicant will receive a letter of intent from the DBA that commits the DBA to provide the grant money to the applicant after the project is completed and certified. If there are mitigating circumstances that do not allow an applicant to comply with the approved plan the applicant may, with minor changes, receive approval for a modified plan from DBA staff. More involved modifications of approved plans will have to be reviewed and approved by the Design Committee. Once a plan is approved (with or without modifications) it must be adhered to. Should an applicant deviate substantially from the approved plan, the Downtown Beloit Association will not release the grant money. Applicant supplies documentation that any permits required under the City’s Building and Zoning Codes have been taken out. All work is completed within the time period agreed upon or amended between the applicant and the Downtown Beloit Association. All work completed follows the agreed upon design. Documentation of Applicants matching investment must be supplied. The Downtown Beloit Association has developed a sign grant program to help downtown business owners to design and install appropriate signage for their business. Essentially the Downtown Beloit Association will provide a matching grant up to $500 for the first 4 approved projects or until all the funds run out. Make an image statement of their respective businesses. Contribute to the overall look of the individual buildings on which they are located. Contribute to the overall look of the downtown. Because signage serves such an important functional task for businesses and such an important aesthetic function for the downtown, this grant program has been established. The purpose of the sign grant program is to encourage and stimulate the introduction of quality signage into the downtown. Signage projects that receive grants will comply with the design standards established by the Downtown Beloit Association and will be approved by the DBA’s Design Committee. LEGIBILITY: signs must be readable with simple lettering style. CLARITY OF WORDING: the message should be clear and simple so the reader can easily absorb it. PLACEMENT: the sign should be placed where it is easily seen. ATTRACTION: some element of the sign should catch the eye and hold it long enough to get the message across. DURABILITY: the materials and construction of a sign should weather well to present a positive, well-kept image. ELIGIBILITY: All business and property owners who are located within the Downtown Beloit Association’s Business Improvement District boundaries are eligible. The Downtown Beloit Association Main Street Program is a locally based effort to encourage the redevelopment, revitalization and management of downtown Beloit. The Downtown Beloit Association has adopted the Main Street Approach which combines historic preservation with downtown development to create a working, growing, and aesthetically pleasing business center that works to reinforce and rekindle the economic vitality and values that Main Street stands for – making downtown once again the unique commercial and social heart of the city. The Downtown Beloit Association Main Street Program is a special partnership of public and private groups working to renew downtown. The Downtown Beloit Association was one of the initial Wisconsin Main Street pilot cities, selected on October 10, 1988. As an official Main Street community, Beloit has received technical assistance and training from the State and National Main Street Centers. 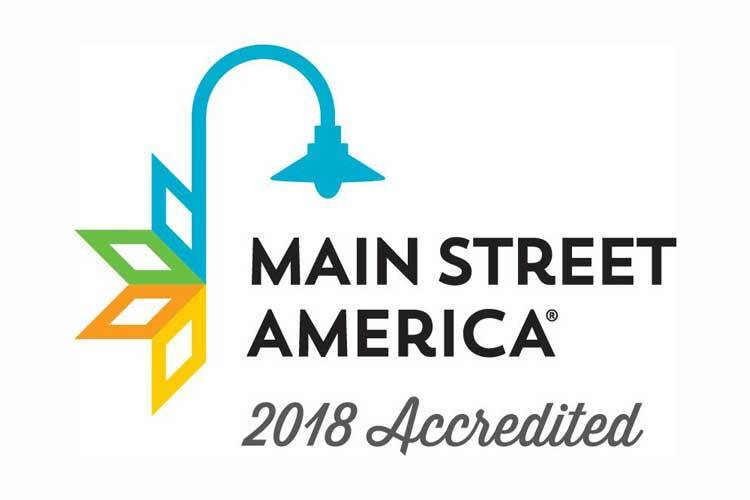 Main Street builds on downtowns inherent assets, its rich history, architecture, independent specialty retailers, personal service, government, and downtown cooperation. It is an incremental approach based on local resources and conditions. Main Street advocates restoring the historic character of Main Street while pursuing traditional development strategies – such as business recruitment and retention, real estate development, and market analysis. Historic Preservation restores pride in the downtown and enhances its’ image as an enjoyable place to shop, socialize and do business. In this respect, historic preservation compliments and guides economic development. The Main Street Program combines four elements to create this well-balanced program: (1) ORGANIZATION, (2) PROMOTION, (3) DESIGN, and (4) ECONOMIC RESTRUCTURING. Main Streets approach is a practical approach to positive change in downtown. It can and does produce highly visible short-term results, while creating changes in attitude, leadership and the economy that lead to long-term success. Managing the design changes that take place in downtown and neighborhood commercial districts is a critical part of successful revitalization strategies. Customers want to do business in an attractive and inviting environment, not in one that is run-down or uncared for. Property owners want to generate adequate rents from their commercial buildings. Local government wants to maintain and improve the quality of life for its’ citizens. In order to reach these goals, the physical changes that take place downtown – building rehabilitation, new construction, upgrading public improvements – must respect the existing architectural environment and the emotional, economic and historic values it encompasses. The design guidelines enumerated hereinafter are based on the Secretary of the United States Department of the Interior’s “Standards for Revitalization”. The Secretary’s “Standards” are a set of ten general criterion developed to provide a practical guide for historic rehabilitation projects. The Secretary’s “Standards” govern those projects which seek to take advantage of the federal and state investment tax credit program. Anyone deciding to use the tax credit programs must coordinate the review and approval of their project through the State Historical Society of Wisconsin. The Downtown Beloit Association has created the Downtown Facade Grant Program. Through this program the Downtown Beloit Association will provide matching grants of up to $1,000 for approved projects and provide free design assistance. The DBA also has available a Sign Grant Program that will provide matching grants up to $500 for approved projects. Both grant programs are available on a first come first serve basis. These grant programs along with existing federal and state tax credit programs create an attractive incentive for the renovation of commercial buildings in downtown Beloit. We now have Exterior Color Palette Guidelines to assist you, click here.